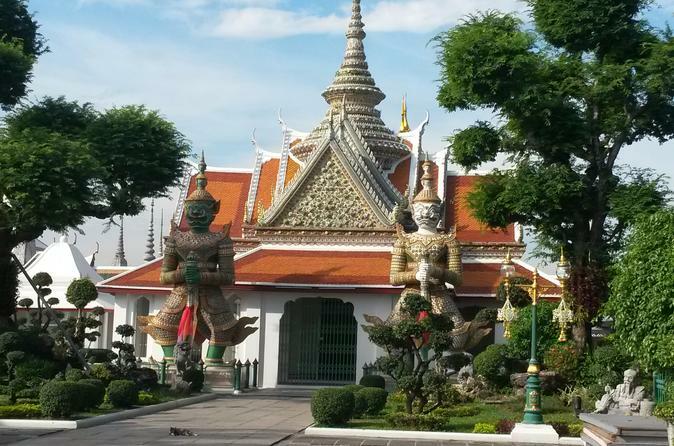 Explore historic Bangkok without breaking a sweat on a full-day tour by electric bike. The ride is as easy — or challenging — as you wish, so spin your pedals or simply cruise through the city’s back roads alongside a small group of travelers. Take in the splendor of The Gold Buddha, Wat Pho and Wat Arun, then immerse yourself in the sights and scents of the vibrant fresh flower market. Sample local treats and stop for lunch at a neighborhood restaurant as you discover the best of the city at your own pace.